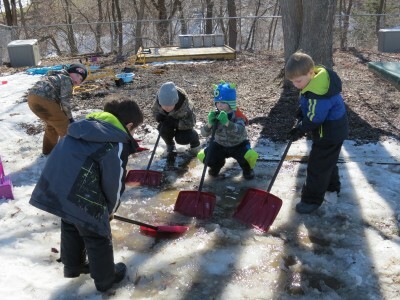 The idea for an outdoor classroom began almost ten years ago as educators Carol Webb and Sandra Johnson looked for a way to incorporate the outdoors into the already established curriculum. Through collaboration with fellow educators at workshops and trainings, the two women got the idea to bring the classroom into the outdoors. 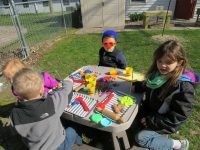 This meant that the children at Messiah Lutheran Preschool would spend most of their time outside as if it were the indoor classroom. 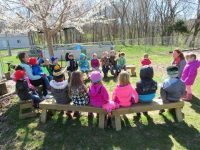 The outdoor classroom has grown by leaps and bounds over the years. All of the indoor centers are included in the outdoor classroom. There are two platforms that serve as building areas and dramatic play areas. Instruments and scarves are always available in the music and movement area. The cozy area is represented with a tent under one of our flowering trees with baskets of books to look through at leisure. 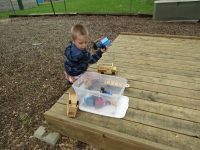 There is a provocation table available filled with items relating to current project work. The climber/slide, swing and balance log areas provide dynamic gross motor learning. 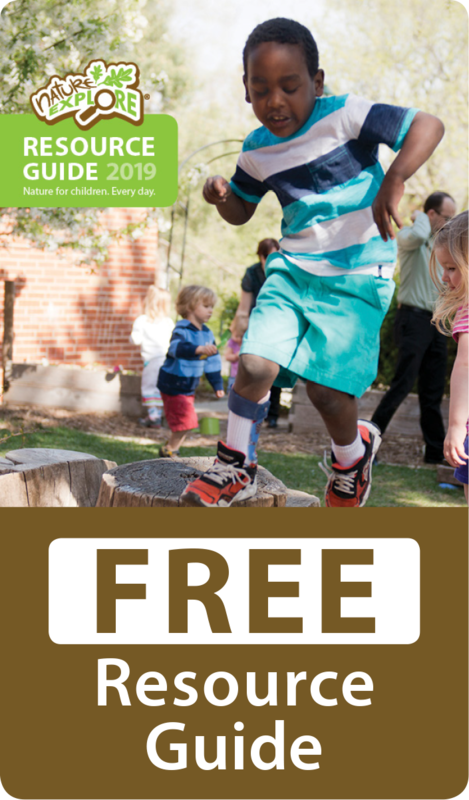 Some of the recent features to the outdoor classroom are the walking labyrinth installed as a memorial to Pastor Barbara Melaas-Swanson, and the new messy area containing rocks and various materials for messy play. 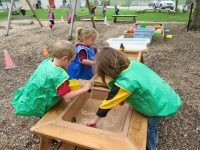 There are many sensorial areas of the outdoor classroom including an herb garden, sand, water, and dirt that can be used for the flower shop or to make mud pies. The outdoor classroom has definitely been a work of heart as many have volunteered over the years to build and create a special place for children to learn. The current staff is very dedicated to continue expanding on the dream that began almost a decade ago so that it may serve children and families for many years to come.